Larisa Semionovna Latynina is a famous Soviet gymnast. Larisa Latynina holds a lot of important Olympic records. She is the only athlete in any sport to have won eighteen career medals; she is one of only four athletes to have won nine gold medals; she is the only athlete to have won fourteen medals in individual events and she is one of only three women to have won the same Summer Olympics event three times. Larisa Latynina (Dirij) was born on December 27, 1934 in Kherson. She practiced ballet first, but turned to gymnastics. She graduated from high school in 1953 and moved to Kiev. 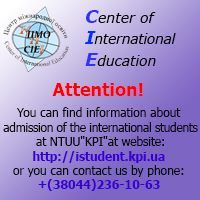 She entered Kiev Polytechnic Institute. Larisa Latynina was trained at the Burevestnik Voluntary Sports Society. At the age of 19 Larisa Latynina debuted internationally at the 1954 Rome World Championships, winning the gold medal in the team competition. In 1956 Larisa Latynina, being 21 years old won the gold medal in the All-Around event. In the apparatus finals she finished first in the vault, second on the uneven bars and in the floor exercise and fourth on the balance beam. She also led the Soviet Union to the victory in the team event. At the 1960 Rome Olympics, Latynina defended her All-Around title and won another gold medal in the team event. She also earned a second gold medal in the floor exercise, picked up silver medals on the uneven bars and the balance beam, and a bronze medal in the vault. In 1964 Larisa Latynina won her third team gold medal and gained a silver medal in the All-Around event. In the apparatus finals she earned a silver medal in the vault, bronze medals on the uneven bars and the balance beam and won the floor exercise for the third straight time. Latynina completed her competitive career by winning six medals in each of the three Olympics, in which she took part. Larisa Latynina was a Head Coach of the Soviet team from 1967 to 1977.